If you've seen my Christmas mail, you know I'm a sucker for a pun labeled gift so I thought I'd share some of my favorite puntanstic thank you gifts I've been hoarding. Even if you don't need something right now, I promise they will come in handy one day. The best part? 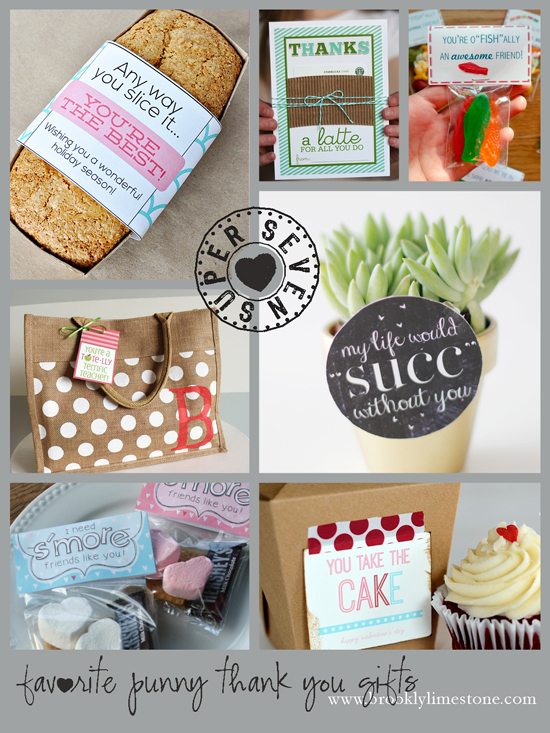 Each one of these fabulous bloggers has included a free printable! Be sure to visit the cheesy geniuses behind each one of these grateful creations! Isn't it such a great idea? And so simple too!